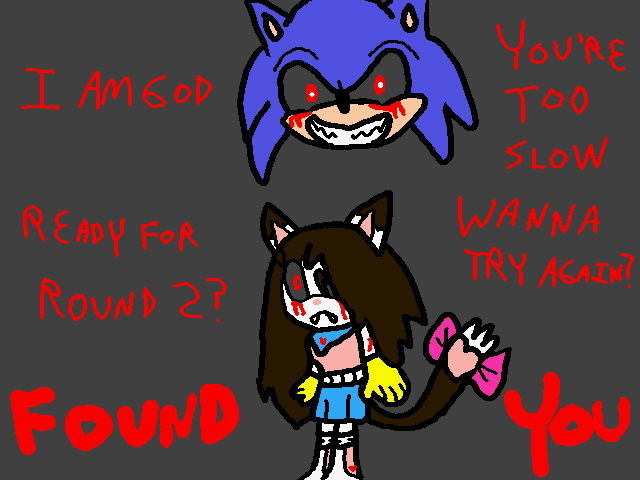 After Sonic.exe killed Chelsea, she is now Chelsea.exe and a new slave of him as well. In case you guys don't know what Sonic.exe is, it's a Sonic the Hedgehog Creepypasta. This is drawn on HelloKids volume 1.